PCBWay is an independent company with 3 factories (2 for PCB serivce and 1 for PCBA service), coupled with professional equipment and superior services, so that we can provide competitive prices while ensuring good product quality and fast delivery. Through cooperation, you will gain a stronger market competitiveness brought by our brand effect. Regardless of the type of PCB, whether it is proofing or mass production, PCBWay will meet all technical requirements. In order to expand the market and overcome the language barriers of communication , we urgently need more partners to localize our excellent services. We attach great importance to our partners, you will be part of our regional management after reaching a cooperation. 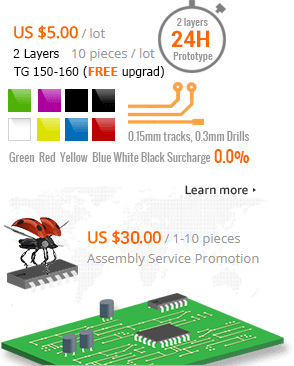 PCBWay always focuses on PCB and PCBA related services and continues to develop a simpler, better and more cost-effective PCB and PCBA solution. This dedicated business spirit keeps us in the industry's position as a leader. Moreover, PCBWay will be responsible for the entire supply chain cycle, in addition to manufacturing, inventory, transportation and technical support. We will work out technology and business solutions to each partner to ensure optimum collaboration and product control. We offer many ways to our cooperation as shown below. If you have any interests or additional questions,please don't hesitate to drop us a message through the following contact form. If you meet the following condition, Contact with us and you may have the opportunity to become PCBWay VIP distributor.